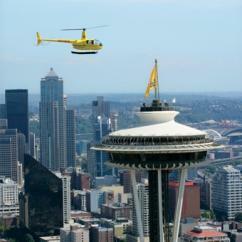 Take lifelong memories to new heights with Seattle flying experiences from Cloud 9 Living! Explore the Pacific Northwest in bold, new ways. Take to the skies, trying things to do in Seattle like flying lessons, skydiving, helicopter tours, and paragliding! Enjoy some of the best sightseeing opportunities that America's 'Emerald City' has to offer. 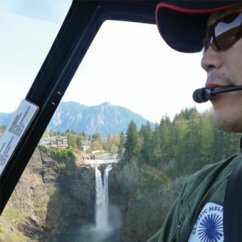 Hop aboard a helicopter for a brilliant look at the area's most treasured attractions. A Seattle helicopter tour is the most unique way to marvel at downtown landmarks, the Space Needle, Fisherman's Terminal, sports stadiums, lakes, Snoqualmie Falls, nearby mountain terrain, and more! These remarkable Seattle flying experiences are available in a variety of flight times — so you can tailor your air tour to best suit your sightseeing desires. Spread your wings and make flight lesson dreams come true. 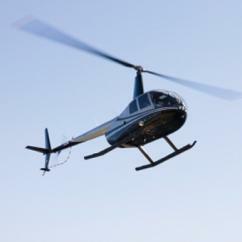 Learn to fly a helicopter or an airplane, right from the cockpit! In the expert company of an FAA certified flight instructor, engage in a brief ground orientation and pre-flight inspection of the aircraft. Then buckle up and take your hands-on training to the skies. Seated next to your instructor, the controls are all yours as you learn the fundamentals of aviation and tackle basic maneuvers on this introductory flying lesson, complete with unrivaled views! Feeling confident enough to try pilot lessons in the cockpit of a real combat jet? Find out what it takes to be a true Top Gun, training in the Seattle skies as a fighter pilot for a day! A thorough classroom training session preps participants on what to expect from the friendly competition that awaits among the clouds. Then grab flying gear, strap in, and get ready to soar like never before! Receive top-notch instruction from military pilots, fire laser 'ammo,' pull some serious Gs, and engage in aerial dogfights — all on one of the most unforgettable Seattle flying experiences! Want to feel the wind in your hair as you fly? Do just that on an instructional tandem paragliding excursion! A USHPA certified instructor will coach you on the ins and outs of this aerial sport and its equipment. Then prepare for take-off and stunning landscapes! 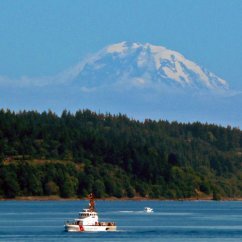 This serene flying lesson provides extraordinary views of the Puget Sound, Mount Rainier, and the Olympic and Cascade mountain ranges. And for a new twist on an old adrenaline favorite (and just as much wind in your hair), indoor skydiving is just one of the many exhilarating things to do in Seattle, for kids and adults of all ages!